Korea Post’s savings unit plans to select two blind-pool infrastructure funds with focus on developed countries to invest up to $200 million, according to its request for proposal posted early this week. It will make equity investments in core-plus assets, while calling for restricting exposure to traditional energy assets in North America to less than 20% of the fund’s portfolio. The state-run agency will receive proposals by Feb. 25, 2019 and finalize the selection in April. To win the mandate, the infrastructure fund should raise at least $1 billion at the final close and be managed by an investment firm with at least $10 billion of infrastructure assets. Separately, Korea Post’s insurance unit has kicked off the selection process to commit up to $300 million to two to three global infrastructure fund houses with focus on advanced markets. According to the RFP issued in late December 2018, it was supposed to finalize the selection in February, but its first-round screening was being delayed because of third-party document verification, it said in January. 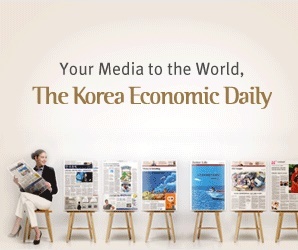 For infrastructure investment, Korea Post is seeking to diversify away from core assets on which it focused in 2018 and from North America’s traditional energy sectors to which it believes to have enough exposure after heavy investment through blind-pool funds in 2016, edaily said on Feb. 11, citing a Korea Post source. In August 2018, Korea Post committed a total of $400 million to New York-based Global Infrastructure Partners and Brookfield Asset Management for infrastructure investment for both insurance and savings arms.